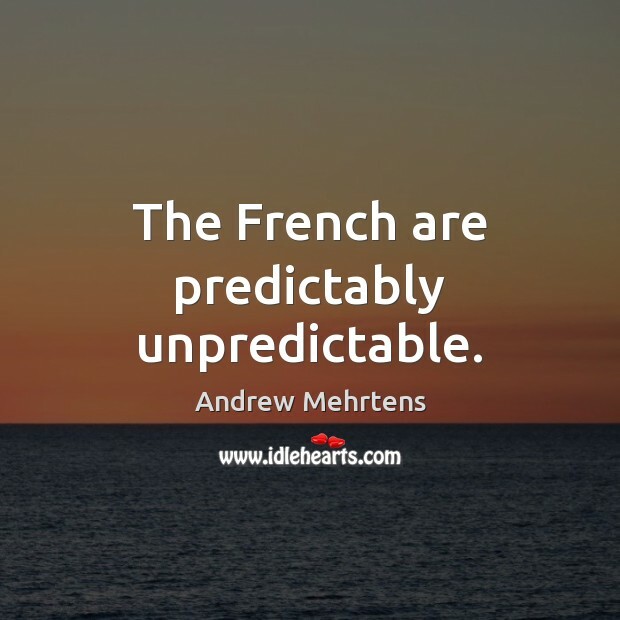 Enjoy the best inspirational, motivational, positive, funny and famous quotes by Andrew Mehrtens. Use words and picture quotations to push forward and inspire you keep going in life! 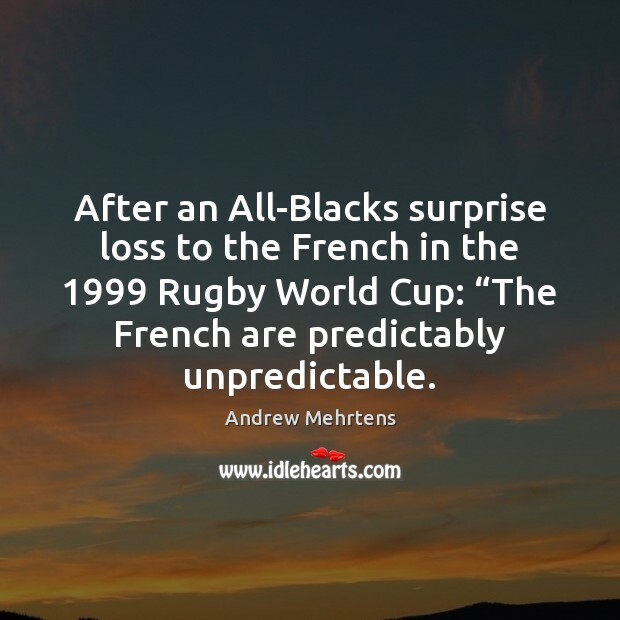 After an All-Blacks surprise loss to the French in the 1999 Rugby World Cup: “The French are predictably unpredictable. The French are predictably unpredictable.